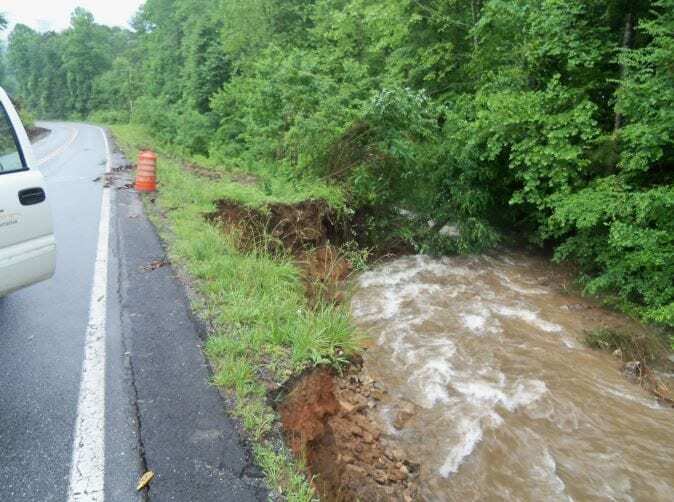 ROBERTSTOWN — State Route 75 between Robertstown and Unicoi Gap has reopened. Some 30 Georgia Department of Transportation workers hauled in dirt and large rocks to give support to embankments that had been washed away by the torrential rains that hit the area earlier this week. 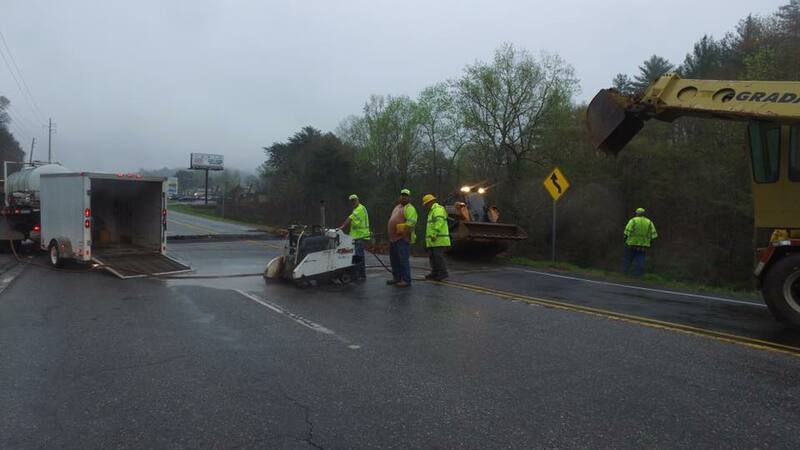 A press release issued by Katie Strickland of the DOT indicated the work began before 9 a.m. on Wednesday and was completed before midnight. “We will follow up with additional improvements in the next few weeks as the weather improves and dries out the ground, said Area Manager Matt Needham, who works out of the Cleveland area office. Drivers are encouraged to drive alert, use your headlights, slow down, and buckle up. CLEVELAND, Ga. – The driving surface of the oldest bridge in White County will be replaced this summer. The Georgia Department of Transportation (GDOT) held an informational meeting in September to discuss the rehabilitation of the 60-year-old Roy Head Bridge on state Route 11/US 129 over Tesnatee Creek north of Cleveland. Last week, GDOT announced the contract for the work has been awarded to Comanche Construction, of Marietta. The amount of the contract is $969,337. Work, which will include painting the steel beams, replacement of the bridge deck joints and protective overlay riding surface, is expected to begin in June and be completed by the end of July. At the informational meeting, GDOT spokeswoman Katie Strickland said replacement of the driving surface will help the sub-structure because it is cracking. Strickland said GDOT will place message boards and detour signage and a signal light at the intersection of Tesnatee Gap Valley Road and Hwy. 115 west. The bridge was named for the first soldier from White County who was killed during World War I.
CLEVELAND, Ga. – Katie Strickland, the District 1 communications officer for the Georgia Department of Transportation said a ribbon-cutting and grand opening of Phase 2 of the Appalachian Parkway will be held Wednesday (July 26) at 10 a.m.
Strickland said the portion of the road north of Cleveland at the intersection of Highway 129 and Hulsey Road, received the final smooth topping, striping and finishing touches Monday. HELEN, Ga. — Travel between Cleveland and Helen could be more difficult for the next couple of days according to Katie Strickland, the District One Communications Officer for Georgia Department of Transportation. Strickland said State Route 75 remained closed Monday afternoon as crews worked to repair a drainage pipe under the highway. A detour is in effect from State Route 384/Duncan Bridge Road to Asbestos Road until the repairs are completed. The detour will be in effect until at least Tuesday afternoon, possibly longer depending on the weather. Flagging operators will be there to help direct motorists. Strickland also advised motorists to plan ahead since the detour will cause delays. Crews worked through the night Tuesday to remove the damaged roadway, replace the drainage pipe and pave over the area.